Facebook Is Scrapping Its Troubled 'Trending' News Section : The Two-Way The head of site's news product announced Friday that the feature was "less and less useful." And it caused the company major headaches. Facebook announced Friday that it will end its "Trending" news section next week. In the era of "fake news," Facebook is doing away with its "Trending" news section. At the same time, it is testing new products aimed at delivering news from trustworthy sources. "We're removing Trending soon to make way for future news experiences on Facebook," Alex Hardiman, head of Facebook's news products, said in a written statement on Friday. She added that the company is exploring new ways to help people stay informed "while making sure the news they see on Facebook is from trustworthy and quality sources." 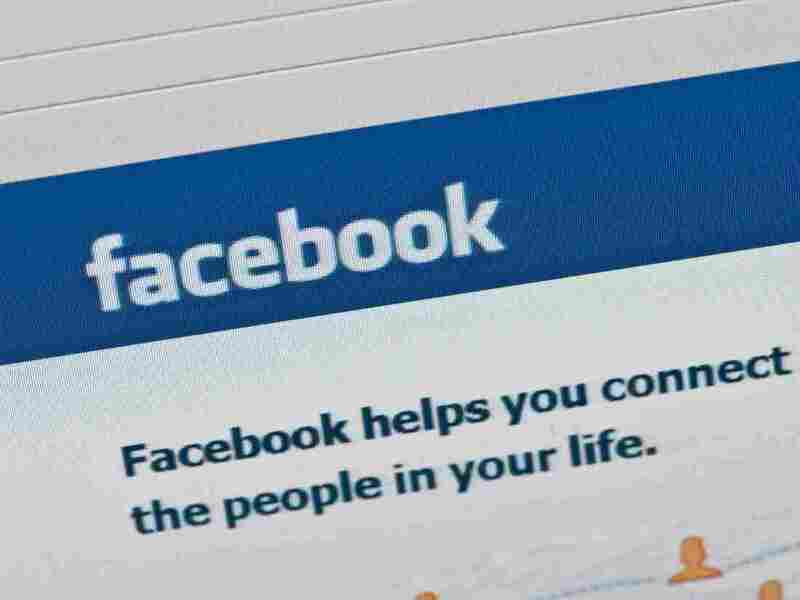 "Since Facebook removed human reviewers from its news section, the algorithm has sometimes promoted misleading, false, or highly partisan content, serving it to millions of users," Nina Jankowicz, a disinformation expert and fellow at the Wilson Center's Kennan Institute, told NPR. "Rather than informing users, it was often misinforming them. For an organization that claims it is not the arbiter of truth, the algorithm still acted as a curator and favored sensational content," she said. Facebook said "Trending" will be removed next week. Testing is underway for a "breaking news" label with 80 news publishers worldwide, said the company. It will let outlets add a red label to differentiate their posts from other text and signal accurate, breaking news. Notifications are also being tested. According to Recode, publishers will be able to leave a breaking news tag on a story for 15 minutes and up to six hours, but the tag currently being tested does not boost the story's ranking in people's feeds. Another news product that Facebook is exploring, called "Today In," gives prominence to local news sources. It would let people receive news from publishers, and notices from officials and organizations in their communities. A third feature will soon launch. "News Video in Watch" will allow people to see live coverage, daily news briefings and exclusive content. "Trending" was available in just five countries and accounted for less than 1.5 percent of clicks to news publishers, according to Facebook. "From research we found that over time people found the product to be less and less useful," said Hardiman. The announcement comes after Facebook CEO Mark Zuckerberg testified to Congress in April: "[I]t's clear now that we didn't do enough to prevent these tools from being used for harm as well. That goes for fake news, foreign interference in elections, and hate speech, as well as developers and data privacy. We didn't take a broad enough view of our responsibility, and that was a big mistake. It was my mistake, and I'm sorry." Jankowicz welcomed Facebook's changes. "I like the emphasis on local news, and I hope this content will be served geographically to concerned users even if they're not subscribed to a particular local outlet." She added, "I worry a 'breaking' label could be abused, particularly if it is favored by the algorithm. Only rolling it out to trusted organizations is a good control, but how will they be defined?"